For over a decade Christopher Duncan has been obsessed with what makes people successful. He is a Serial Entrepreneur, Coach and Educator. He has founded 5 companies, 2 reaching 7 figures or more and has competed internationally as a basketballer. His endeavours have spawned several industries, including Training, Renewables, Real Estate, Technology, Water and Education. He has worked with some of the world leaders and has learnt secrets to influence by having top mentors, coaches, trainers, taking risks, making mistakes and having huge successes. Sought after now as a top coach, mentor and business consultant. Christopher spends his time travelling the globe facilitating public and private trainings Through the use of specialized techniques in Personal Branding, Social Dynamics, Neuro-Science & Linguistics, Relationship Blueprints, Smooth Operator technologies, non logical change, Business Automation, and his Authentic Sales approach his clients have immense (and lasting change that impacts all areas of their life.) 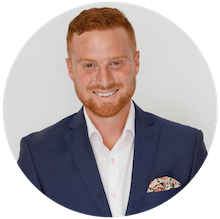 As an Avid Learner Christopher has studied and mentored under renowned NLP gurus, international transformational masters and serial Entrepreneurs. He is known as a captivating, witty and unique presenter, while creating amazing changes in the perspective of his audience. His flag ship training mobile lifestyle and the ZeroDollar Startup will teach you how to quit your job and start a six-figure business. As he was able to do before he turned 25!